Marty Balin met Paul Kantner in 1965 and their resultant musical relationship would lead to the creation of the Jefferson Airplane. 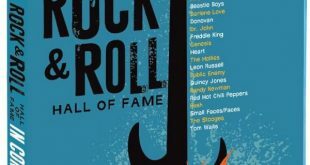 This influential and successful American rock ‘n’ roll band would eventually be elected to the Rock and Roll Hall Of Fame. While there would be several personnel changes during the group’s early existence, by the time of their first album release, lead guitarist Jorma Kaukonen, bassist Jack Casady, drummer Skip Spence, and co-lead singer Signe Anderson had all joined the band. Jefferson Airplane Takes Off, released in 1966, is an album that often slides under the radar. It failed to crack the Billboard top 100 and is many times ignored given the brilliance of the releases that would follow. This is unfortunate as it is an album that can stand on its own merits. The group's early sound has been classified as folk-rock, but it also contains the beginnings of American psychedelic music. They would take the sound of such early psychedelic practitioners as The Holy Modal Rounders and the 13th Floor Elevators and refine and expand it until the experience was just as important as the music. This was especially true live, as the Airplane quickly became an innovative and popular concert draw. Signe Anderson may have only recorded this one album with the group, but in some ways she was a good fit for Marty Balin. They tended to support one another rather than challenge each other, as would happen when Grace Slick joined the band following Anderson’s departure. “Bringing Me Down” is a good example of this supportive style. Her best moments come as the lead vocalist on “Chauffeur Blues” where her powerful voice just soars. This was really a Marty Balin album. The Paul Kantner-Grace Slick axis did not exist as yet, and the other group members had not begun to assert themselves. As such, Balin wrote or co-wrote eight of the eleven songs. His “Blues From An Airplane” is the first track on the album and was a great way to kick off a recording career. His performances on “It’s No Secret” and the cover song, “Let’s Get Together,” show his versatility and the purity of his voice. He and the band even manage to pull off an interesting version of the often-recorded “Tobacco Road.” It would be his track, “Come Up The Years,” written with Paul Kantner, that would point the way to the group’s future. Jefferson Airplane Takes Off remains a formidable debut album from a group that would form an important part of the American rock heritage from 1965-1974. It is an excellent and interesting listen 40- plus years after its initial release.